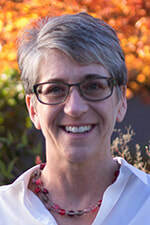 Carole’s nutritional services deliver a bounty of knowledge, information, and insights to her patients regarding food as medicine and medicine as food, Carole, a master educator, teaching high school history for the last 25 years, brings experience, passion, and a kind spirit to her practice that provides reassurance, confidence, and a clear path to health through a renewed experience with food. Carole enjoys backpacking, traveling, cooking, and watching international films. She is adept at the unicycle, and touts that her first vehicle was a motorcycle. Originally from Boulder, she knows Mork and Mindy. In addition to my certification as a Nutritional Therapy Practitioner (NTP), I have been a proud public school educator since 1994. I hold a Master in Teaching from the Evergreen State College, a B.A. in International Relations and German from The University of Colorado, Boulder, and taught English as a second language in Slovakia in 1990-1991. A Colorado native, I have lived in Olympia, WA since 1991.